Sapphire jewelry from the Grace Collection reflects the human form with smooth and elegant design. This sapphire jewelry collection pairs warm yellow gold with vibrant blue sapphires for a stunning, complementary effect. 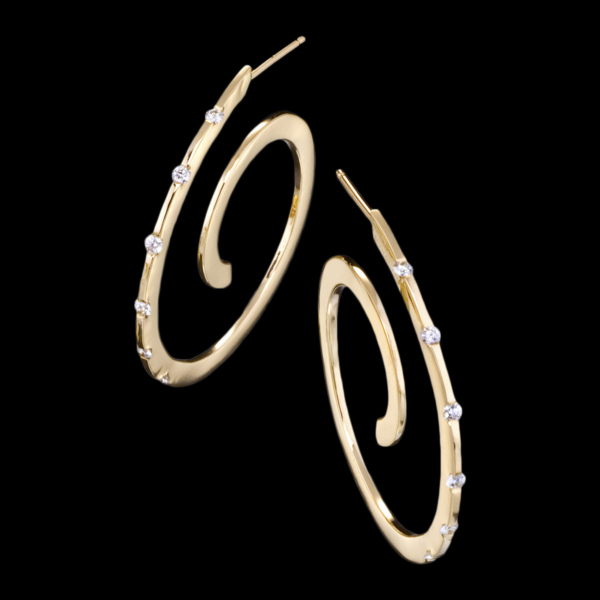 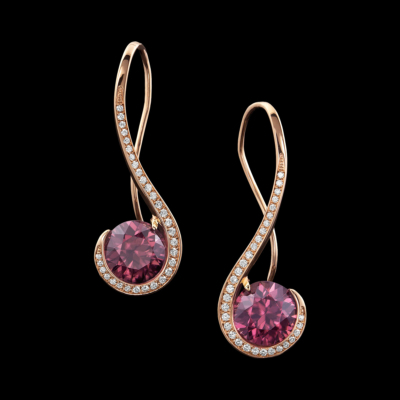 Adam Neeley also offers striking Grace diamond jewelry variations. Grace ring makes a stunning diamond or sapphire engagement ring and pairs beautifully with Covet stacking band as a wedding set. 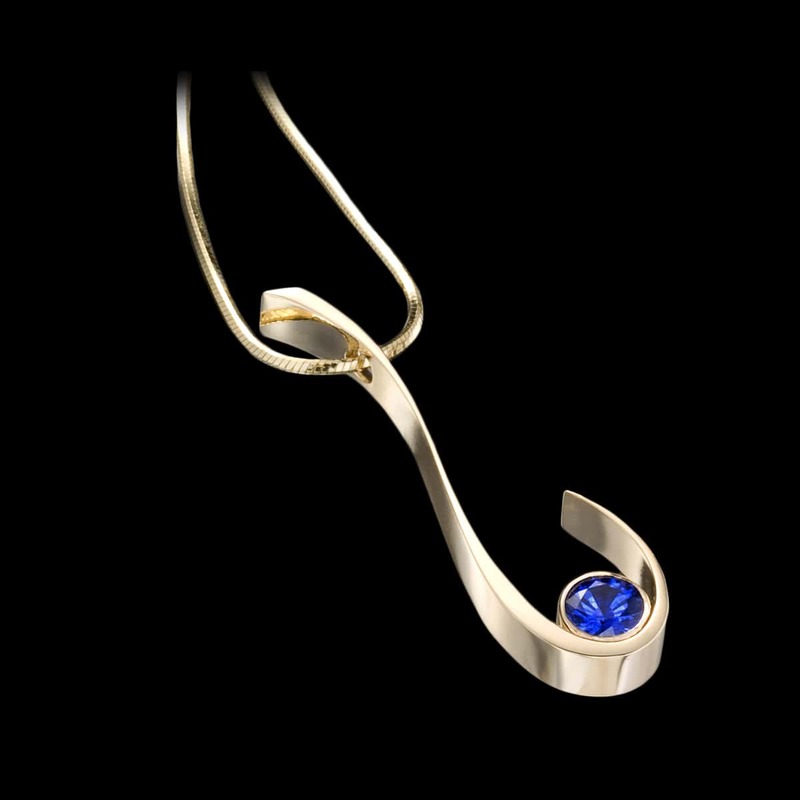 Grace sapphire pendant, sapphire earrings, and sapphire ring make up a stunning collection of jewels for a modern, elegant woman. 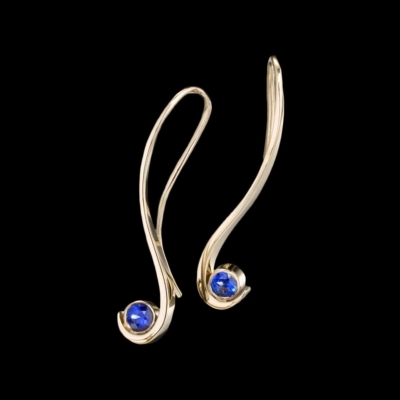 Sapphire jewelry from the Grace Collection reflects the human form with smooth and elegant design. 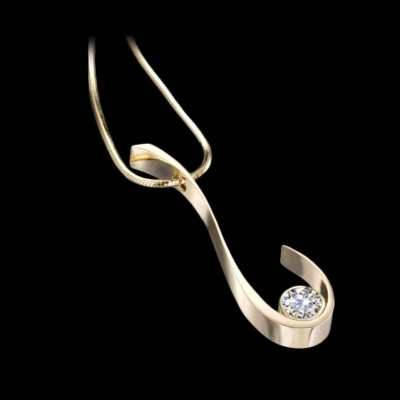 For a coordinated look with variety, consider wearing Grace with Adam’s other Designer Jewelry Collections. 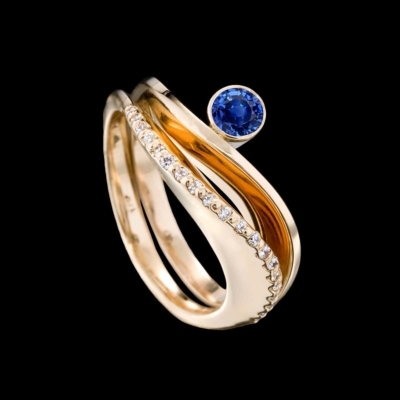 Pieces from the Grace Sapphire Jewelry Collection pair beautifully with Spirale Diamond Jewelry and the Sculpture Ring. 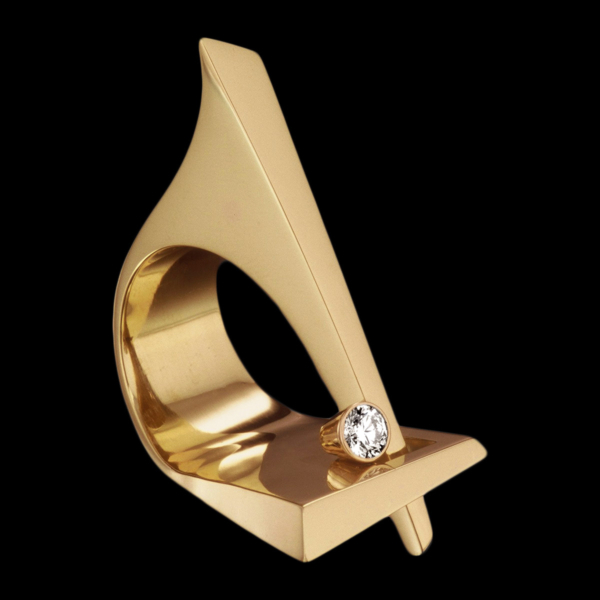 Adam Neeley considers every piece of jewelry to be a small sculpture, but none more so than his iconic Sculpture Ring. 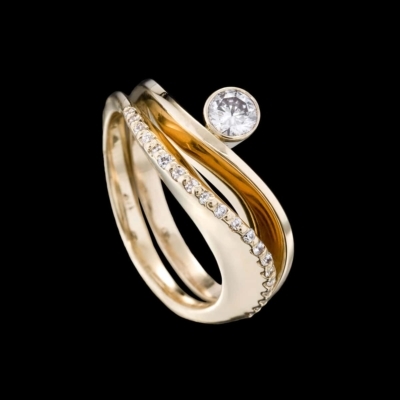 This diamond ring has an impressive heft and striking lines which belie its comfort when worn. Sculpture Ring has an incredibly balanced form and contoured shape which make it a pleasure to wear.